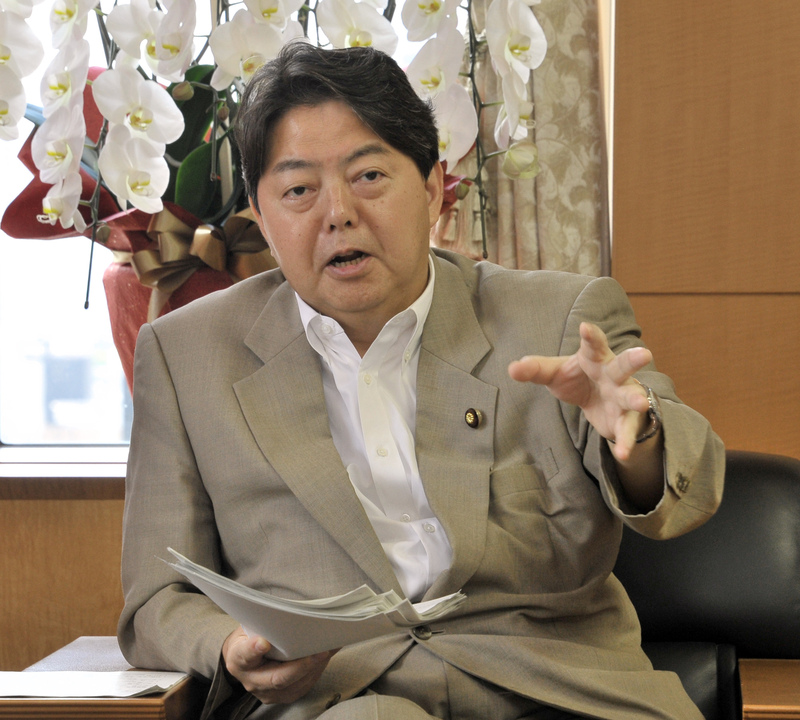 The new education minister says he will decide on whether to approve scandal-tainted school operator Kake Gakuen’s bid to open a new veterinary department after weighing the results of an ongoing screening by the ministry’s panel of experts. The panel is examining the application to open a veterinary department at a university run by Okayama-based Kake Gakuen, chaired by Prime Minister Shinzo Abe’s close friend Kotaro Kake. The application has been at the center of allegation of favoritism on the part of Abe and his Cabinet. In January, Kake Gakuen won government approval to launch the department in a special deregulation zone in Imabari, Ehime Prefecture. But like other universities, it must pass screening by the ministry’s panel and win approval from the education minister. The panel is examining whether the university can secure enough qualified teachers in addition to looking at its facilities and the proposed curriculum. In addition to the screening of documents, the panel could also conduct on-site inspections and interviews. Based on the screening, the panel will make a recommendation to the education minister. Although results were initially expected by the end of this month, the panel reportedly requested an additional two months to conduct its probe before it renders judgment. 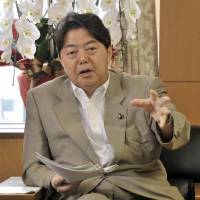 Hayashi also said he will work on recovering the ministry’s damaged credibility. He said the ministry lost public trust because of the way it handled an internal investigation to search for leaked documents related to the scandal. Former top education ministry bureaucrat Kihei Maekawa’s remarks over the alleged favoritism also played a part in the deteriorating credibility, Hayashi said. “From now on, I’d like to provide more complete explanations in order to increase transparency,” he said. On other issues, Hayashi said he wants to beef up measures to support the growing number of non-Japanese students and returnees at public schools who are in dire need of Japanese language help. The number of students who need language support hit a record 43,947 in the ministry’s latest survey released in June. Given the rising demand, the ministry plans to increase the number of teachers who can offer support and offer subsidies for municipalities dispatching instructors to schools.